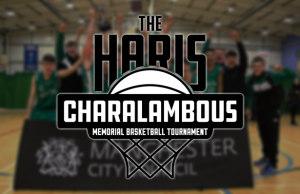 Day 2 of the Haris Memorial Tournament 2014 took place on Sunday, with Tilton vs Boulazac and St Andrews vs England U18s proving to be the two semi-finals we will see on Monday. Tilton Prep moved to 2-0 with an 85-75 win over England U18s in the first game of the day on the show court. The game remained close throughout, with both teams responding to any deficit with rallies but Tilton went on big run to open the fourth which was enough to keep them in front. Franklin Porter led Tilton with 26, Terance Mann had 21 while Brett Hanson and Anthony Green added 13 each. Dominic Scott-Robinson had 17 to lead a balanced England effort, with Alex Roberts and Kyle Carey finishing with 11 a piece. Another close game to begin the day’s action saw CB Cornella denying England U16s of their first win with a 65-55 victory. Down two after the opening quarter, England u16s responded with a big run to take a 7 point lead with threes minutes left in the half. Cornella regained control in the third period and didn’t give up their lead the rest of the way. Alejandro Perez had 16 points to lead Cornella, Pol Peinado had 13 points while Marc Corral added 10. Zion Tordoff led England with 12, Kaiyem Clearey had 11 while Jacob Round finished with 10. St Andrew’s took it to Manchester Magic, getting an 87-70 victory to move to 2-0. Chancellor Ellis had 17 to lead St Andrew’s, Nate Dude and JR Lynch finished with 14 while Eric D’Aguanna had 11. Joe Swindells led Manchester with 19, Raheem Idris added 18 while Ben Jones had 9 for the Magic. Boulazac moved to 2-0 and left Sligo still looking for their first win, with an 82-71 win. In a game that was close for large stretches, Sligo led early before Boulazac rallied. Boulazac held a slim 5 point lead with a little over five minutes remaining, but it was enough for them to ride out the win. Alexandre Aygalenq showed his calibre with 27 points, Joshua Norbal had 17 and Richard Peychaud 12 for Boulazac. Cian Lally led Sligo with 28 points, Philip Hamilton 19 and Tobi Brockmann had 11 points. Tilton Prep completed the pool stages with a 3-0 record as they made light work of CB Cornella with an 88-61 victory. Tilton went deep into their rotation throughout the game, with a semi-final match up against Boulazac coming after they lost to St Andrews later in the day (see below). Florida State signing Terance Mann led Tilton with 17 points, Sarju Patel was accurate from beyond the arc for 17 of his own, while Brett Hanson and Franklin Porter finished with 12 each. Marc Coral led CB Cornella with 10 points, as Marc Lopez & Xavi Palet had 8 points each. 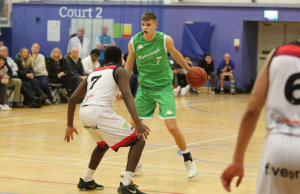 The match up of age group national teams proved to be a no contest as England U18s recovered from a slow start to rout England U16s 92-47 and book their place in the semi-finals. Aidan Gastaldi-Davies hit five threes (one being a four point play) to have all his 19 points in the first half and lead England, Kyle Carey finished with 11 while Danny Evans and Carl Wheatle added 10 each for England U18s. 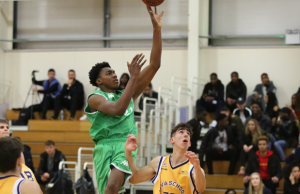 The athletic Ryan Murunge led England U16s with 9 points, Josh Edwards had 8 while Micah Savery-Richards and Sam Kato added 6 each. St Andrew’s became the second US team to finish the pool stages with a 3-0 record with a 100-76 defeat of Boulazac. Boulazac managed to hang around for the first 15 minutes before a huge run from St Andrews to finish the second quarter saw them take a twenty point lead into the halftime break. Eric D’Aguanno led St Andrew’s with 20, Nate Duda had 18 with Brian Mukasa adding 13 points and Cole Swider 11. Mickael Srom had 15 points for Boulazac, with Michel Murte and Theo Nehlig adding 11 each. Manchester Magic had little trouble dispatching of Sligo, 76-43, to pick up their first win of the tournament. Magic held a 9 point lead after the opening period and continued to extend the deficit, running their bench in the fourth to cruise to a thirty three point win. Raheem Idris had 15 to lead Manchester, Allistair Lloyd added 11 and Junior Oscar had 10 to join them in double figures. Sligo were led by Philip Hamilton’s 10 points, with Cian Lally having 8 and Julian Jarmolovicz 7 points. Hard to see past anything but a Tilton – St Andrew’s final. St Andrew’s Head Coach Michael Hart says he’s a big fan of FIBA rules and has been campaigning for them in their league back in the US for over a decade. Top 5 plays from Day 2 here. More to come – follow @Hoopsfix on Twitter for live updates over the course of the tournament.